A Camrose dentist who said she was assaulted by an Alberta sheriff during a traffic stop has been charged. 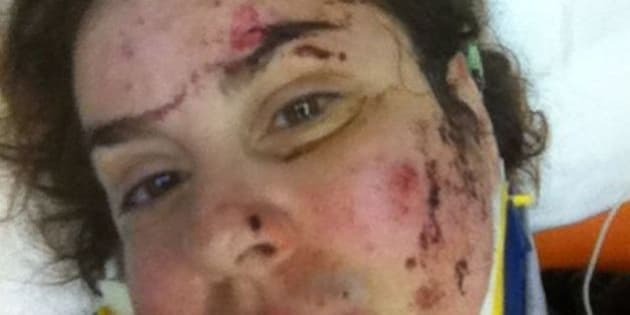 Simona Tibu is charged with assaulting a peace officer and resisting arrest, Global News reports. She said she was on her way to see patients in Edmonton when she was pulled over for speeding. Tibu says a discussion with the sheriff escalated into an argument. She says he handcuffed her and began hitting her breasts and she ended up in hospital with bruises all over her body. Tibu says she was shocked to learn she was being charged with resisting arrest, but the sheriff wasn't facing any charges. She says she has already filed a complaint against him with Alberta's Professional Standards Unit. "I am going to make justice happen," she said. "No individual should be handcuffed and be beaten by the police. "No woman should be handcuffed by the police and be sexually assaulted." The sheriff has been placed on desk duty while the RCMP investigates, according to CBC. A spokesperson for Alberta's Solicitor General's office says the professional standards investigation could begin right away, or may have to wait until the RCMP investigation is completed.